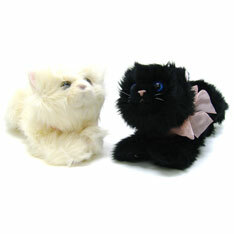 Perfect for any cat lover, 12” plush lying cats are plush and adorable. Sold individually and assorted black and white. $4.05 each for 36 or more.